Nutella Swirl Cupcakes comes with the deliciousness of Nutella. 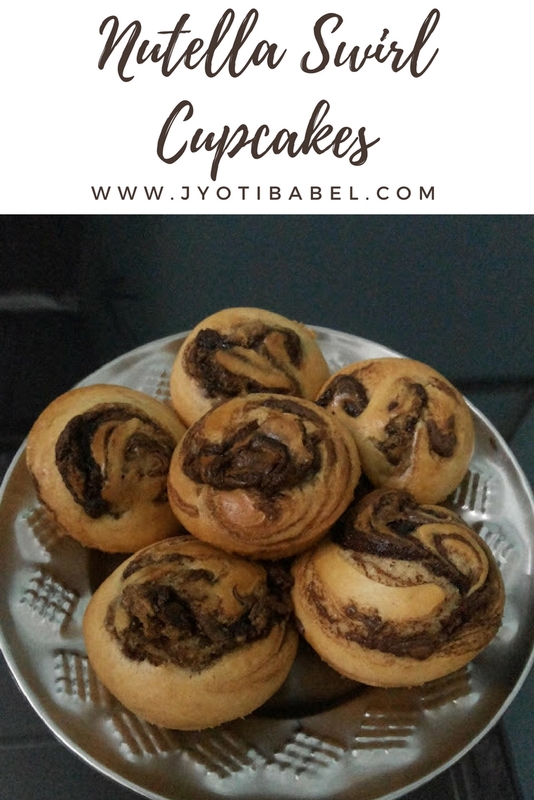 Just a dollop of Nutella into plain cupcakes takes it to a whole new level in terms of taste and look. 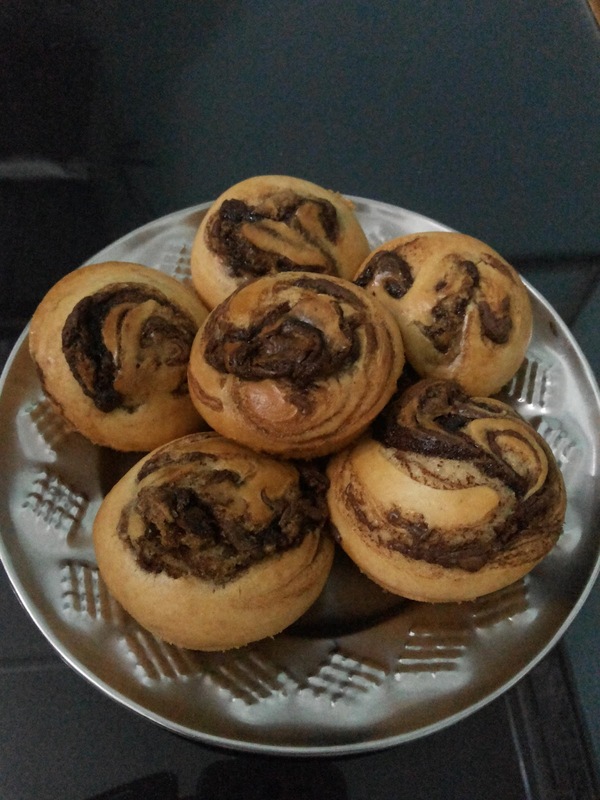 Today's recipe - Nutella Swirl Cupcake is one of the results of my little sis' baking adventures. She loves baking and she does a really good job at it. I can't believe it is almost going to be a month since I blogged last on this space. I have received emails and messages from friends and readers as to why this space has been void for such a long time.I don't know myself, but it looks like I am going through a severe case of blogger's block. Even today one of my younger sister's experiments in the kitchen is rescuing this space from the long silence. This month, I have spent a good amount of time away from my kitchen and now I am enjoying a couple of days at my mom's place. I am so glad that my little sis' creation has come to my rescue just when I needed it. Linking to the ongoing Food Carnival on this space. Comment on this post and have a chance to win the giveaway cookbook. Coming to the recipe for the Nutella Swirl Cupcakes now, it is pretty simple. First, we have to prepare a simple eggless cake batter and then do the Nutella magic. Yes, add a dollop of Nutella after filling it into the cupcake moulds and swirl it around. This cupcake is sure to be a hit with kids. 1. Preheat oven to 180 C. Grease cupcake tin with cupcake liners or spray cooking spray on it. 2. Sieve flour, baking powder, and soda in a large bowl. Keep it aside. In another large bowl, whisk together butter and condensed milk until combined. 3. Add other wet ingredients such as milk, vanilla extract, vinegar and blend well. Add in flour mix (all sieved dry ingredients). Whisk it until combined. 4. Fill each cup about 2/3 full with batter. 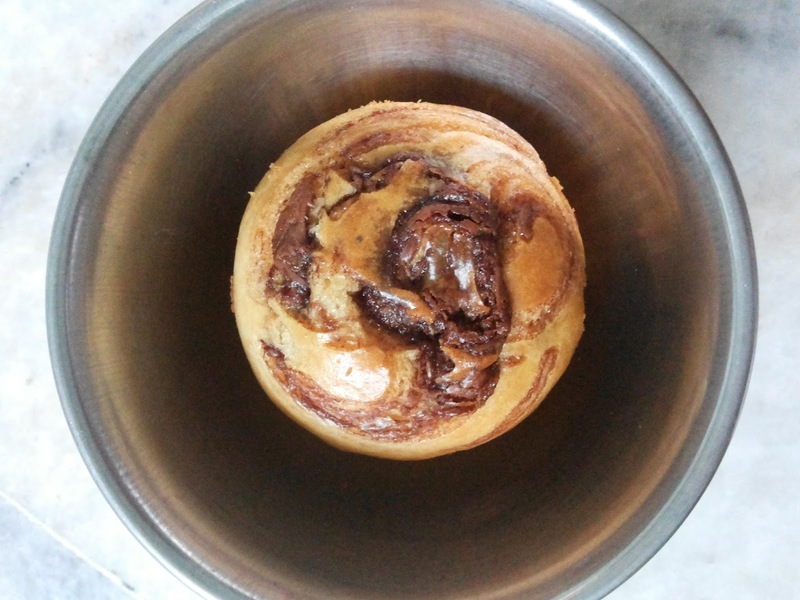 Add a dollop of nutella to each and swirl it around a few times with a knife. 5. Bake for 12-15 minutes. Allow cupcakes to cool before serving. Enjoy! Very attractive swirl cupcakes, thats wonderful of ur lil sis..